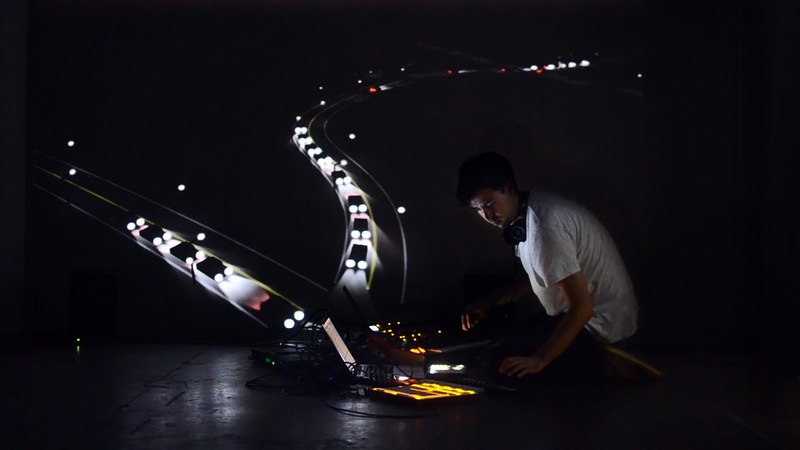 Created and performed by Mark Wheeler (aka Mark Eats), This City is an audiovisual performance that explores what happens when a soundtrack controls the world as much as the world influences its soundtrack. 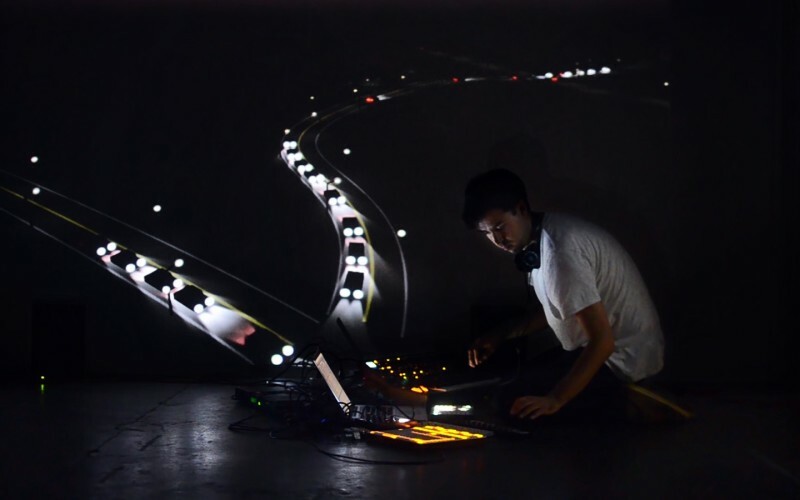 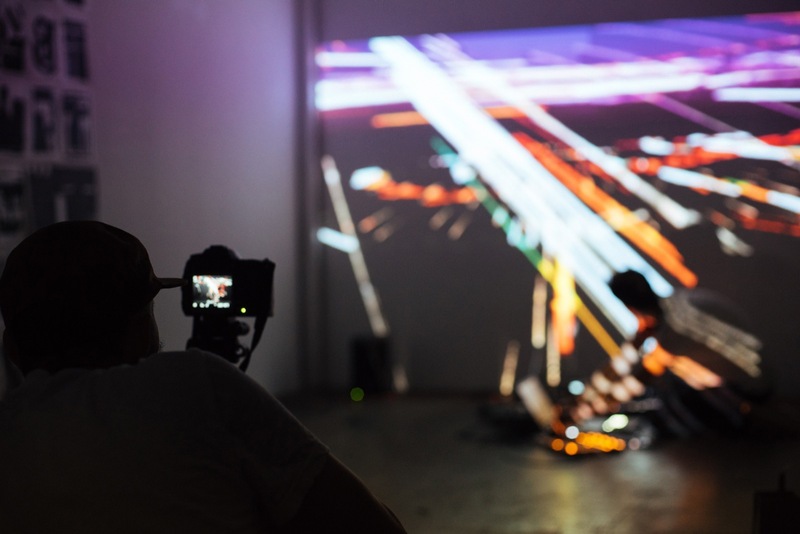 The project combines soundtrack and real­-time generative visuals, both played live. 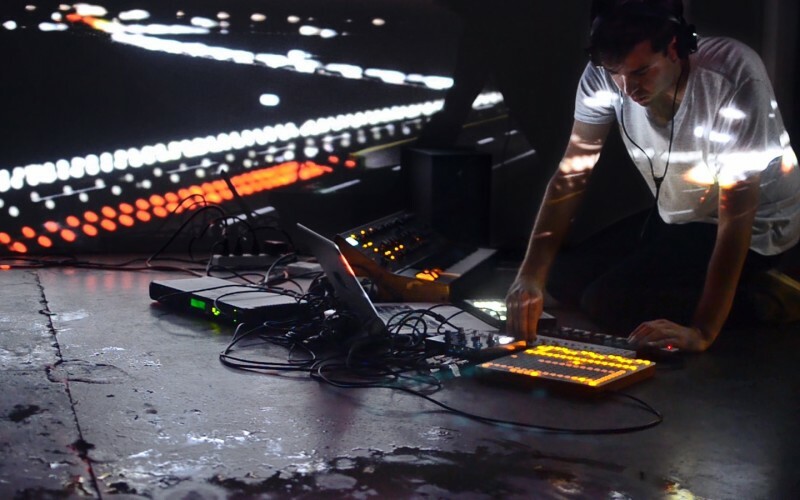 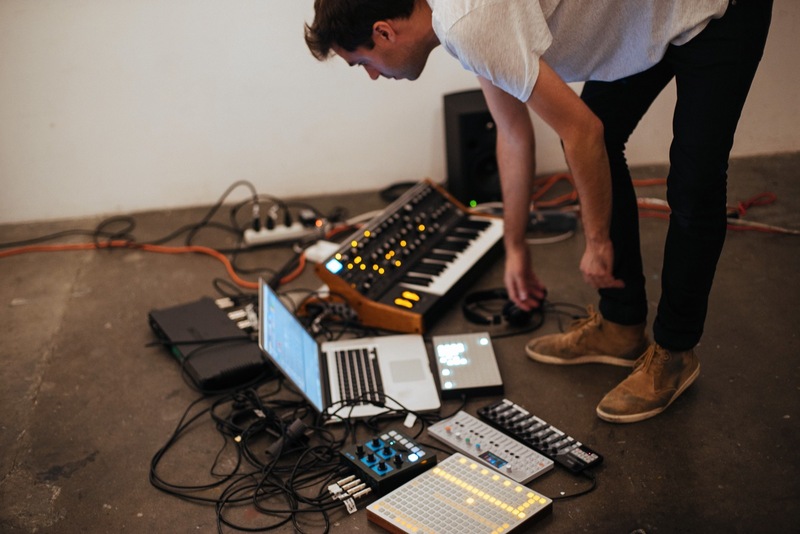 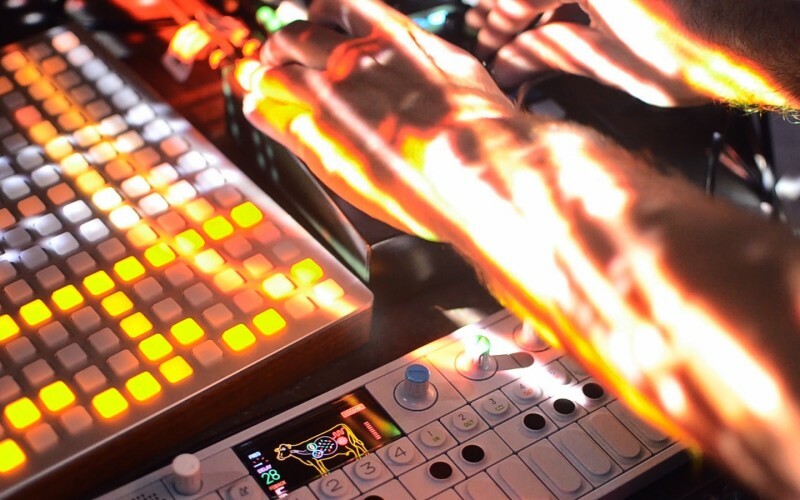 The performance setup uses two synths (a Moog Sub 37 and Teenage Engineering OP-1), a monome running Mark Eats’ own Sequencer app and another monome controlling Ableton Live. 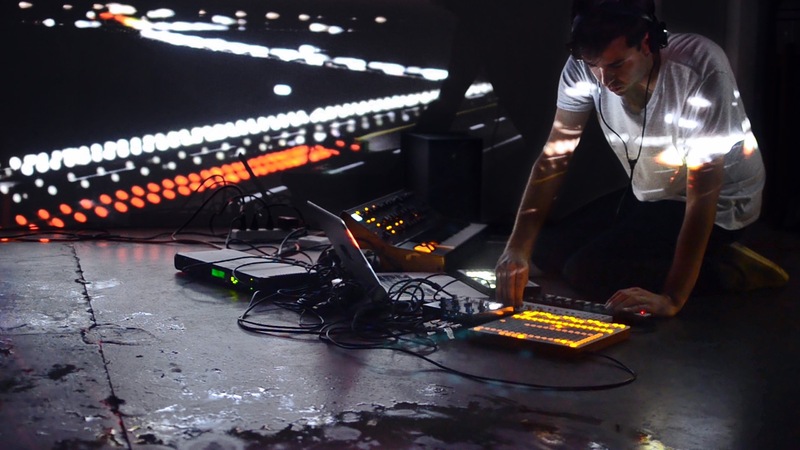 These instruments connect via MIDI over wifi to a second laptop running a custom openFrameworks app that produces the visuals. 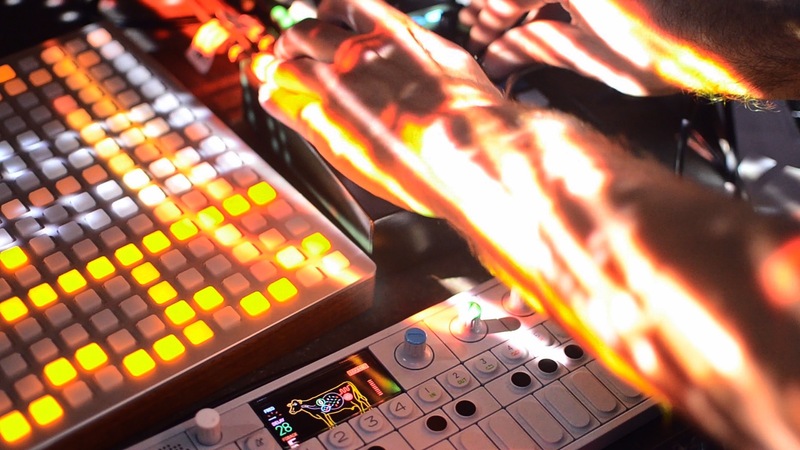 Ableton Live and MidiPipe handle the routing. 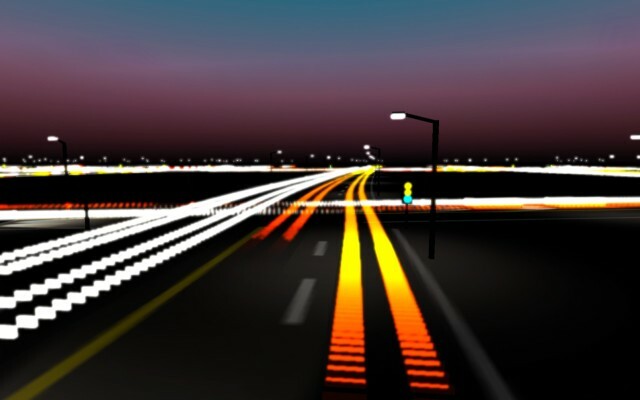 The visuals software was built using openFrameworks and operates much like a game engine. 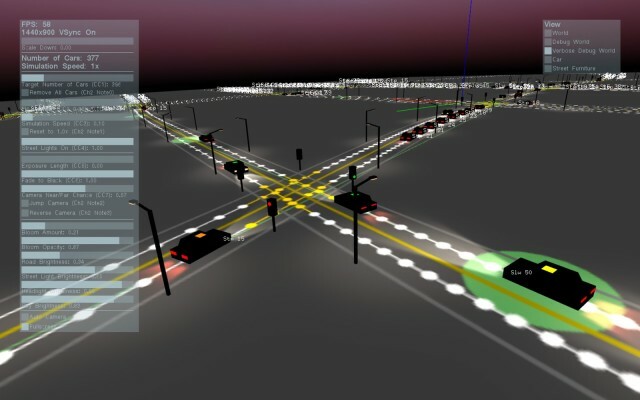 A map is created with rules for traffic flow, junctions and traffic lights. 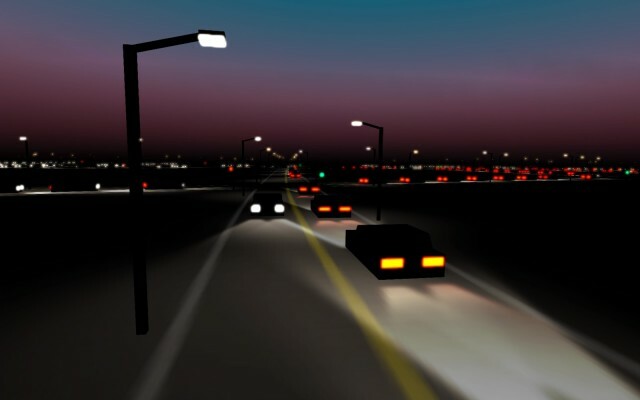 Thousands of cars can be added, each with their own personality, some preferring to drive faster or more aggressively than others. 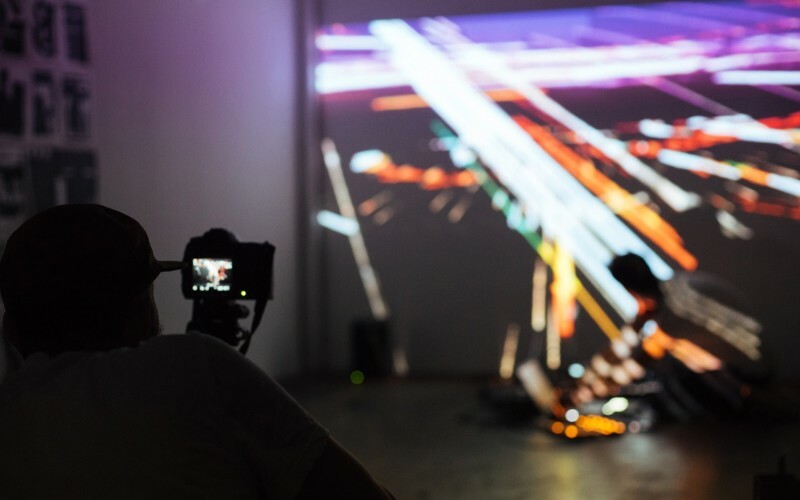 The world is then influenced by MIDI inputs that affect parameters such as the simulation speed, exposure length, camera moves or even gravity. 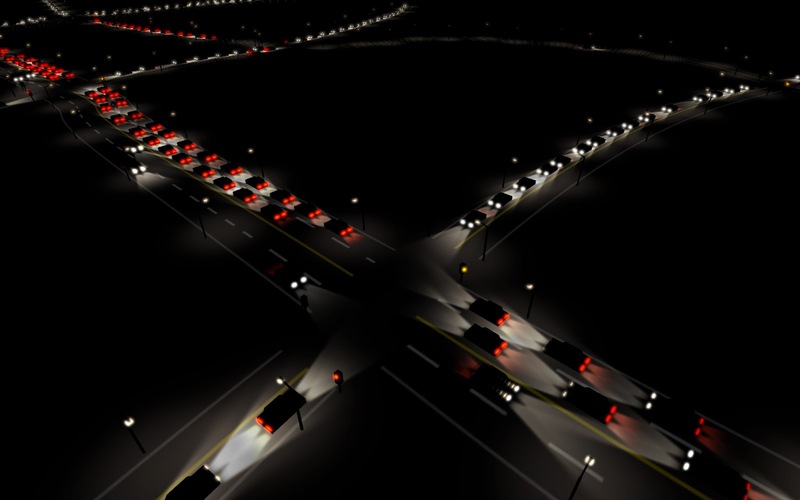 See the technical guide video at the bottom of the post for more.